Rarely found opportunity to own a property with lifestyle versatility on 2.4 acres in the heart of Sammamish. Privacy, ideal floor plan, expansive kitchen, Thanksgiving size dining, home office, four bdrms, huge bonus, oversize 3 car garage, sport court & more. Modern 2 story barn/outbuilding,MIL potential, equestrian fenced pasture w/2 gated entrances. Easy walk to Pine & Beaver Lakes, Starbucks, shops and three highly rated Issaquah Schools. Minutes to Redmond, I-90 or 520. Excellent property! Directions: From 228th Ave. SE turn East on SE 24th St (near Pine Lake Park) go1/4 mile turn Left on 236th Ave. SE. First left SE 22nd St (private drive) First house @ fire hydrant onto long driveway. Please, send me more information on this property: MLS# 1386289 – $1,850,000 – 23340 Se 22nd St., Sammamish, WA 98075. 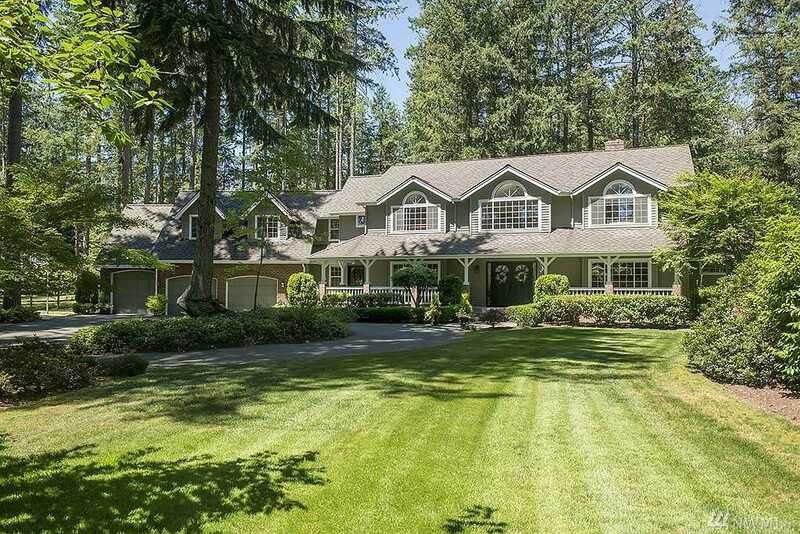 I would like to schedule a private showing for this property: MLS# 1386289 – $1,850,000 – 23340 Se 22nd St., Sammamish, WA 98075.